Beirut-Geneva-Paris, February 21, 2018 - Today in Bahrain, prominent human rights defender Nabeel Rajab, BCHR President and FIDH Deputy Secretary General, was sentenced to 5 years in prison under trumped-up charges in relation to tweets denouncing the torture against detainees at Jaw prison and exposing the killing of civilians in Yemen by the Saudi-led coalition. This surrealistic verdict, after a trial that was by itself a mockery of justice, illustrates once again the current crackdown of any dissenting voice in Bahrain, where scores of critics are currently jailed. The Observatory (FIDH-OMCT) and BCHR reiterate their call to the Bahraini authorities to immediately release him as well as all detained human rights defenders. Nabeel Rajab was convicted today based on Article 133 of the Bahraini Criminal Code (“disseminating false rumours in time of war”), Article 215 (“offending a foreign country [Saudi Arabia]”) and Article 216 (“insulting a statutory body”). Rajab’s charges include a tweet from March 26, 2015, the day the Saudi-led coalition launched air strikes in Yemen, criticising wars that “bring hatred, destruction and horrors”. On December 4, 2017, in a public statement announcing the appointment of a group of experts to investigate the violations committed in Yemen, the United Nations (UN) High Commissioner for Human Rights Zeid Ra’ad al-Hussein used nearly the same words to describe the situation in Yemen: “For three years, the people of Yemen have been subjected to death, destruction and despair”. 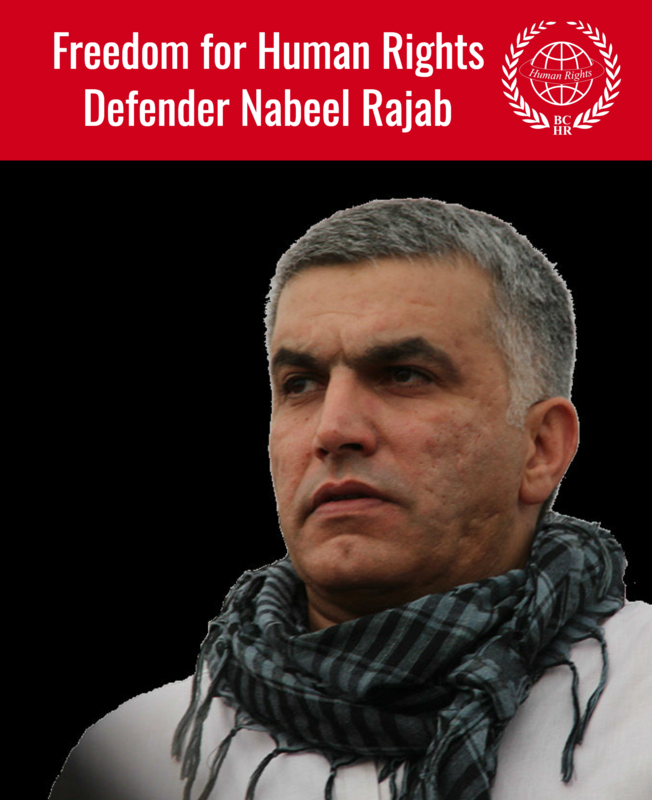 “Nabeel Rajab is not a criminal, he is a prominent human rights defender and political prisoner. This new outrageous sentence contributes to further shut down space for civil society in the country”, FIDH President Dimitris Christopoulos highlighted. 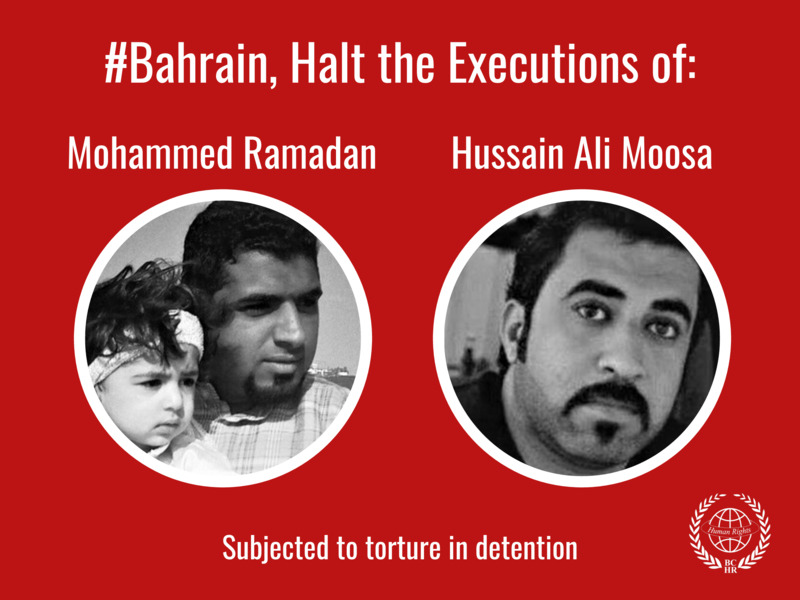 “This continuous harassment, which illustrates once more the Government’s relentless efforts to silence the whole Bahraini civil society, must stop. It is urgent for the international community to make sure Bahrain’s authorities cannot get away with their crackdown on human rights defenders any longer”, OMCT Secretary General Gerald Staberock added. Today Bahrain is under a blackout, preventing local human rights activists from expressing themselves or traveling, and forbidding foreign journalists and human rights defenders from investigating. In October 2017, a delegation of FIDH board and former board members seeking to show solidarity with Nabeel and other imprisoned human rights defenders was denied entry to the country. The ongoing case against Nabeel Rajab, which began in April 2015, has been postponed 20 times and on several occasions the Court violated criminal procedure law by announcing the holding of the trial with only a few days’ notice, and no explanation to Rajab’s lawyers. His lawyers reported they were therefore unable to prepare his defence or call their witnesses to testify in court. Nabeel Rajab has been in arbitrary, solitary and pre-trial detention since June 13, 2016, despite his deteriorating health conditions. After being hospitalised, his return to prison has been marked by new persecutions and dangerous, humiliating and degrading detention conditions. Beaten on his arrival, and woken up and searched in the middle of the night, his belongings were confiscated and his head was shaved. Since November 20, 2017, he is being held in Jaw prison in a segregated wing with convicted ISIS terrorists, putting his safety at risk. Our organisations reiterate their fears for Nabeel’s health status and renew their call to the authorities to enable him to receive an adequate medical treatment, and to release him immediately and unconditionally.